How often have you envied someone who has done something amazing or made a success of their life? How often have you said ‘I wish I could do that’ or ‘I’m just not lucky enough’ or ‘he’s just lucky, that’s why he’s made it’? I’m sure we’ve all said this at some point, but do you ever stop and think why you don’t achieve more in your life? How many excuses have you made to others (and yourself) about why you can’t do something? Have you heard the saying ‘We are what we think’? Often, the way we think determines whether or not we will be successful in what we set out to achieve. So if you start off thinking you’re not capable of doing something, then guess what? You’ll probably never do it. You may as well not even try because you’ve lost the battle already! Many of the millionaire gurus practice NLP (Neuro Linguistic Programming) which basically means that if think about something you want and really believe you will get it then your thoughts will manifest themselves into reality. Now I’m not saying this is all you need, but it’s a great start! A positive attitude will go a long way and is what separates the successful people from the unsuccessful. It’s ok to try and fail. So you tried, and it didn’t work, but you don’t give up. You try another way, and then another until you make it work. There are many great people who tried, lost everything, then succeeded in getting it all back. 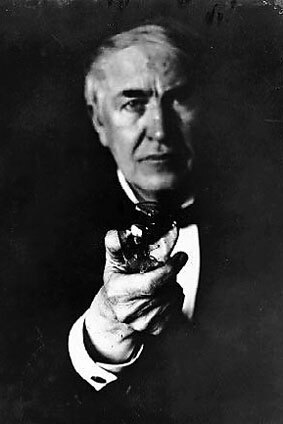 As an inventor, Edison made 1,000 unsuccessful attempts at inventing the light bulb. Do you know someone who always seems to have ‘bad luck’ and whatever they do always seems to go wrong? This is not a coincidence at all, it’s down to mindset. They constantly tell themselves they’re unlucky and things will always go wrong….so guess what….that’s what happens! Positive thoughts produce positive actions. Give all your thoughts to what you want to achieve, see what you want in your mind, feel it, focus on it constantly as if you already have it. See yourself actually achieving your goal and you will be nearer to getting it. Did you know that 1% of the population own 96% of the worlds’ wealth? This is no accident, it’s not down to luck. These few people focused on what they desired, they believed in themselves and set out to get what they wanted. They are where they are today because of what they thought. There are other contributing factors but mindset is the most important. You can focus on the past and your previous disappointments, or, you can focus on your future and what you want to happen. So what’s it going to be? Because your biggest challenge is YOURSELF. It’s not how many times you get knocked down, it’s how many times you get up. 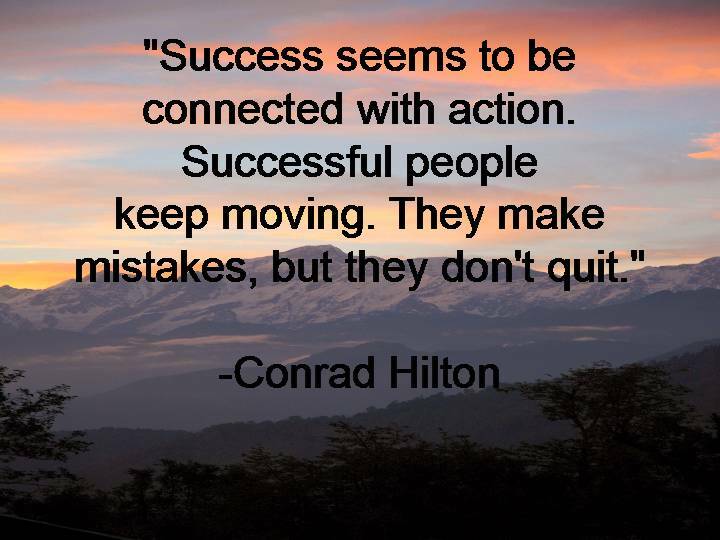 You’ve got to keep on going and moving forward with your dreams. People mistake “luck” for countless hours of hard work and preparation. Edison wasn’t lucky, he just didn’t quit. Loving the NLP Sue …. I honestly beleive that when you want something then you really don’t think about anything else…it’s like the world is wrong not you…I don’t think there is any such thing as luck….hey is there some big guy or gal in the sky sticking a pin in the phone directory Ha ha.